desperately in need of repairs. unheard of in the annals of mooglekind. 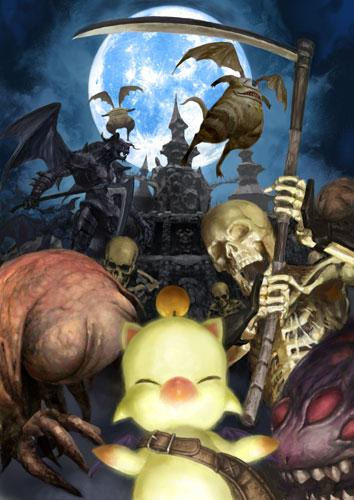 A Moogle Kupo d'Etat - Evil in Small Doses is currently set to go on sale on July 5th, 2009. It will be the second add-on scenario expansion produced for Final Fantasy XI. The expansion will be released globally at the same time as the July version update, the release date of which is yet to be announced. Completing ACP allows adventurers to choose one of three augmented head pieces. The Champion's Galea is heavy helmet designed for tanks and heavy melee classes; the Anwig Salade is lighter helmet designed for utility melee jobs; and the Selenian Cap is a wizard's hat designed for mage and support jobs. Upon completing MKE and choosing a head piece listed above, adventurers must choose two augments to enhance their new gear. The augments are chosen from a long list of options. This page last modified 2009-07-21 12:18:24.